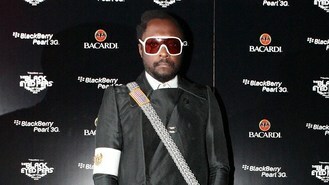 News - Will.i.am: Dude, where's my car? Will.i.am: Dude, where's my car? The Black Eyed Peas star was snapped arriving at his #Willpower album listening party in a custom-made white sports car with his pal Nicole Scherzinger. But just hours later, he tweeted: "My car was stolen..."
He added: "Where is my f***ing car...??? This isn't funny anymore. I'm going to be optimistic and pray that my car is returned and safe... "
Will later wrote: "#givemebackmycar this joke is getting old..."
The car is thought to be from Will's IAMAUTO company, which he set up to bring jobs to East Los Angeles, where he grew up.